Though a simple collar will suffice for many dogs, a harness provides several benefits. Dog harnesses are especially favorable for certain breeds as well as dogs that pull because they relieve the pressure that a collar places on the front of the dog’s neck. When it comes to dogs that might try to escape a collar, a harness is usually more secure. You may have decided that a harness is the right choice for your dog, but with so many options, how do you choose? We’ve compared several review sites and customer ratings to come up with five of the best dog harnesses on the market. 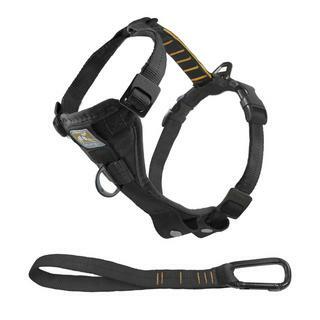 This sturdy-made harness features two leash attachments: one in the front for training and additional control, and another in the back. There is a small front pocket where you can safely tuck your dog’s ID tag (and quiet the jingling). 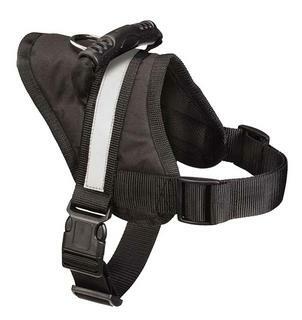 This harness is adjustable and features a reflective trim for nighttime visibility. For master escape artists, check out the brand’s Web Master harness. 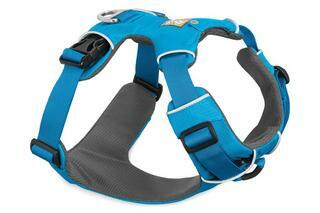 The Tru-Fit harness is designed with a broad, padded chest plate for your dog’s comfort. 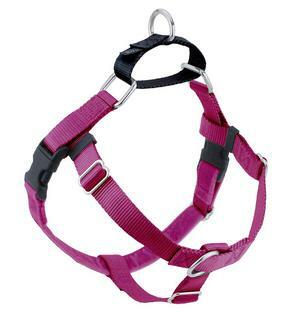 With five adjustment points, you can custom fit this harness to your dog’s shape. The front leash attachment discourages dogs that attempt to pull on the leash, but there is also an attachment at the back for everyday walking. The simplistic design of the Freedom No Pull harness features several adjustable straps and both a front and back D-ring to which you can attach the leash. The leash attachment at the back has a martingale-style loop of fabric that tightens when the dog pulls to both give the walker more control and discourage the dog from pulling. Pet parents of bigger dog breeds like the Expawlorer harness for its durability and wide adjustable straps. It features a prominent reflective ribbon so your dog can be safe and seen at night. There is one leash attachment on the back as well as a rubber handle to make it easy to quickly grab onto your dog. 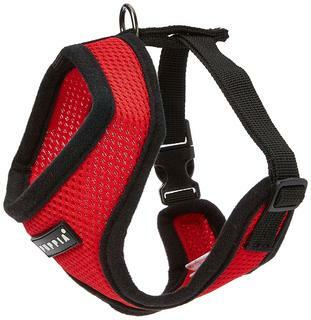 The lightweight Puppia harness is designed for smaller dogs and features breathable mesh and a soft lining. There is one leash attachment at the back, so this harness is best suited for small breeds or dogs that are leash trained not to pull.